Sixty-four years ago on a brisk December morning, December 8, 1953, the course of American History was changed as a team of scholarly and dedicated legalese from the National Association For The Advancement Of Colored People (NAACP). These men and women approached the doors of the highest court in the America. The same court doors that had shut closed the rights and freedoms of blacks 60 years earlier. At issue was the Supreme Court decision that mandated a condition of separate but equal between the races of black and white people in this nation. That segregationist’s doctrine was established in the case of Plessy vs. Ferguson, 1896. The court mandated that segregation of the races was the law of the land not to be challenged by morality because it was constituted by law. This doctrine today, however, was indeed being challenged by Oliver Brown and the NAACP, as well as the entire population of Black America going up against the Board of Education in Topeka, Kansas and the staid rules of oppression that were legalized by the laws set forth by the courts, and state, municipal, federal legislators across this nation. You see segregation of the public schools was not only within the bounds of the laws of this nation but it had been legally endorsed by the highest courts and laws in the land. So from Beacon Hill to Stone Mountain Georgia, from our Nation’s Capitol to the Confederate Capitol of Dixie, from Dallas to Detroit, from Annapolis to Kannapolis, from Miami Beach to Sunset Beach, from every molehill and township segregation was the supreme law of the land. America, the supposed democratic nation symbol of freedom of the world had a hidden dark secret that it wanted to shield from its international partners. Segregation, hate, and bigotry festered every second of every day in the United States of America. America, like South Africa, was a nation that supported apartheid principles. Until this day, December 8, 1953, when a tall lanky attorney from Baltimore City, Maryland. Who was raised in the bastion of segregation stepped before those nine jurists of the Supreme Court and made his plea for the abolishment of segregation in all public schools in this country? What follows are today’s on my blog in their words my voice, the late, great, dynamic, and honorable former Justice of the Supreme Court, Thurgood Marshall, who on this particular day represented every black person in the United States who were suffering, or had suffered by this vicious mandate of injustice. 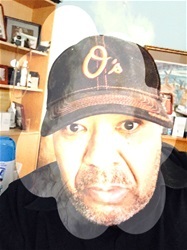 The question that Derrick Bell asked in Silent Covenants is the same question I ask my blog followers today. What if rather than focusing on eliminating the Supreme Court’s ruling of 1896, Plessy vs. Ferguson, Justice Marshall demanded that America abide by that ruling and make separate but equal truly equal in terms of the institutions in America? How would we have benefitted from saying to White America okay you don’t want to go to school with us? You don’t want to eat food with us? You don’t want to live near us. Then, fine give the true equality of resources you have and we won’t seek integration. Repair the harm don’t to Black America and we will develop our own culture of institutions to prepare our own to compete in this world. What if that had been the strategy? What if? 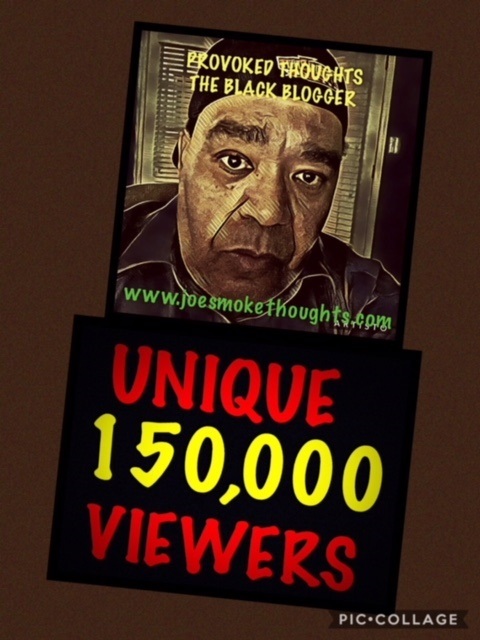 The Black Blogger thanks my followers for supporting me reaching 150,000 unique viewers.